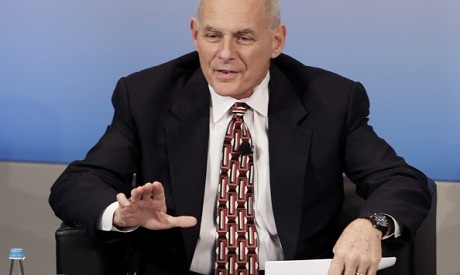 US Homeland Security chief John Kelly on Saturday said a new presidential immigrant ban will be better prepared and implemented to ensure there is no repeat of the chaos caused by the first. President Donald Trump said Thursday he would announce a new executive order on immigration next week after federal courts suspended his ban on the ground it targeted Muslims and was implemented without due care or preparation. Kelly told the Munich Security Conference that the administration had been surprised by the ruling and would try to do better. "I would say the president is contemplating releasing a tighter, more streamlined version," he said. "We will have this time the opportunity to work the roll-out plan in particular to make sure there is no one ... caught in the system," he said. The first order temporarily barred people from seven Muslim-majority countries from travelling to the United States for 90 days, as well as all refugees for 120 days -- except those from Syria, who were banned indefinitely. It triggered worldwide outrage and chaos as people arriving at US airports from targeted countries were detained and sometimes sent back to where they came from, including Green Card visa holders. Kelly said that problem would not be repeated. "As far as the visas go, if they are in motion from some distant land to the US when they arrive they'll be allowed in."